Ten thousand feet in the sky, aviatrixes from London to Paris to New York-fueled by determination and courage-have their eyes on the century's biggest prize. The year is 1927, and Amelia Earhart has not yet made her record-breaking cross-Atlantic flight. Who will follow in Charles Lindbergh's footsteps and make her own history? Three women's names are splashed daily across the front page: Elsie Mackay, daughter of an Earl, is the first Englishwoman to get her pilot's license. Mabel Boll, a glamorous society darling and former cigar girl, is ardent to make the historic flight. Beauty pageant contestant Ruth Elder uses her winnings for flying lessons and becomes the preeminent American girl of the sky. Inspired by true events and real people, Notaro vividly evokes this exciting time as her determined heroines vie for the record. 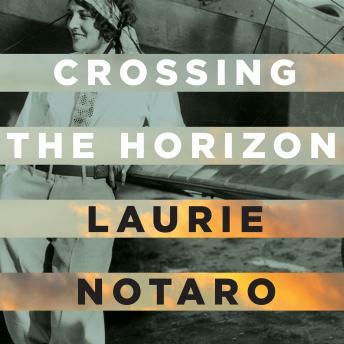 With meticulous research and atmospheric prose, Notaro brings Elsie, Mabel, and Ruth to life, pulling us back in time as the pilots collide, struggle, and literally crash in the chase for fame and a place in aviation history.